There are few industries and few parts of our everyday life that have not been touched -- if not transformed -- by apps. Who could have imagined that the business model for the most mundane of our daily activities, from shopping to hailing a taxi, would be completely upended in a matter of months. This has rightfully created a new urgency for organizations of all kinds and sizes -- and particularly the tech leadership within them -- to also become adept at creating these kinds of new Internet consumer experiences. As the need for apps has increased, so have the requirements for building and running them. An Internet scale-level of sophistication and performance -- combined with enterprise requirements for trust and control -- are now necessary for these apps to truly make an impact. 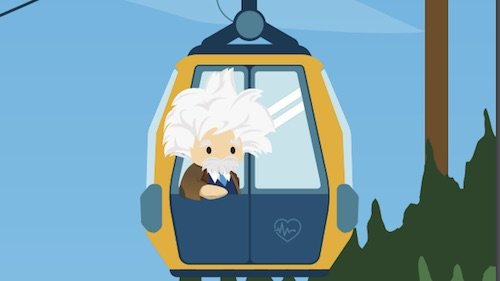 Salesforce’s mission is about empowering innovation inside of companies and Heroku is a key part of how we enable that. From day one our focus has been on delivering innovative tools so developers can put their energy into building great apps. We were born in the same era as the top consumer Internet companies and have been supporting them from the beginning through billions of requests a day. There has since been a diffusion of technology and these amazing web experiences are also now relevant to the enterprise. With this in mind, we are democratizing the needed technologies so that every company can be a great customer app company, not just the Facebooks, Googles, and Pinterests of the world. Today, as we launch Salesforce App Cloud, we realize the fruits of all that effort by announcing Heroku Enterprise. This new product represents the fusion of all of our most innovative and complex learning around trust, deployment, connecting data, identity, and collaboration. In the enterprise, trust is critical and must be managed and deployed in the cloud with the same fidelity as the most established on-premise systems. Private Spaces provides dedicated, isolated application run times. You can now extend your corporate network to take advantage of the cloud, while maintaining the trust level of Salesforce. It works like your own private Heroku. A feature of Private Spaces, regions allow for ultimate deployment flexibility, based on where you want to run your application. It means your app can perform at scale as close to your customers as possible, whether they are in North America, Europe, or Asia. Response times are faster and latency is improved. This feature also gives you the flexibility to meet unique geographic requirements. Developers and admins who are already managed through their Salesforce deployments can also seamlessly sign into Heroku, with their permissions inherited automatically. Provisioning or deprovisioning is applied across both Salesforce and Heroku, so IT only has to manage one set of logins. Permissions can also be set based on the access each unique employee needs for their role. 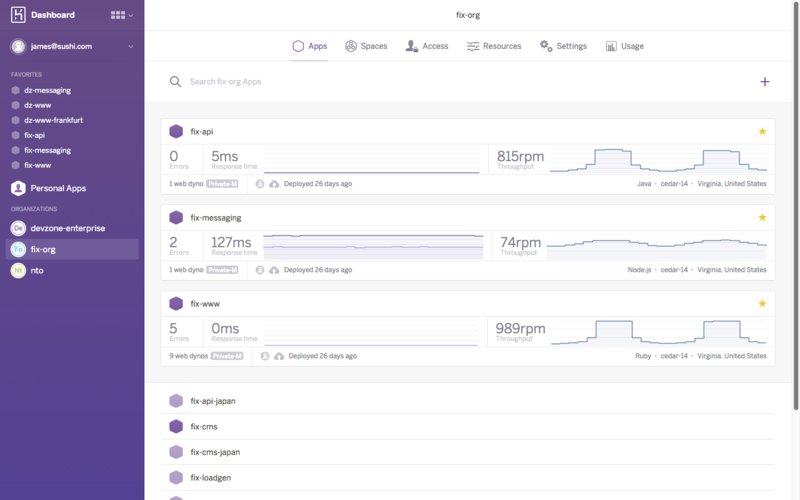 Go much deeper into the features of Heroku Enterprise here and here.